group of chemical fibres, notable for its high stretchability. Used in products which demand great elasticity (elastic underwear, stockings, socks, sports outfits). 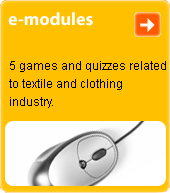 Used in the fabrics and knits of outer garments (most commonly trousers) in combination with other fibres.